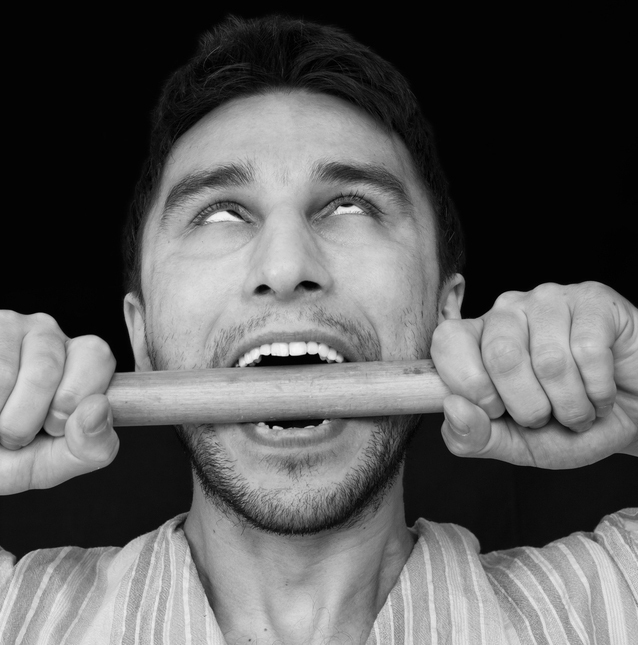 Hollywood Medical Myths Part 3: You should put a bite block in the mouth of someone having a seizure. Seizures seem to be an ailment that befalls numerous actors in everything from movies to television shows. Whether it’s the condition that leads to their immediate death on screen, or just a reaction to some dramatic situation, the quivering usually leads to the same thing- someone trying to put a bite block, like a wallet or stick, in the mouth of the person who’s having the seizure. This is presumably to keep the person from either “swallowing” their tongue (not possible), or biting it. The truth is that you should never put anything in the mouth of someone who is having a seizure. Seizures, in and of themselves, aren’t generally something that cause a person much or even any harm. Usually it’s the reason the person had the seizure, or an injury that results from seizure convulsions that cause a person injury- bite blocks being one cause of potential serious injury. There are several different types of seizures and they can be caused by numerous things, such as high or low body temperatures (hyper/hypothermia) and blood sugar levels (hyper/hypoglycemia); abnormalities in electrolytes; low oxygen levels (hypoxia); and trauma to name a few. If a person has a seizure from the most common cause, epilepsy, their doctor will usually say it’s not necessary to seek treatment if the seizure lasts less than 5 minutes. Almost all treatments for a medical problem come with complications and or risks. Whether or not you get treated with something specific, a doctor will weigh the risks vs. benefits to decide if the treatment is appropriate. That very mindset is at the heart of why you should never put any type of bite block in anyone’s mouth that’s having a seizure. To understand why, let’s look at the benefits vs. the risks. The presumed benefit of a bite block is to keep the victim from swallowing their tongue, or to keep them from biting it. Like this supposedly good seizure treatment, the first problem is also a myth that occasionally pops up in movies or on TV. It’s impossible for a person to swallow their tongue, at least in the sense meant here. You could, of course, choose to cut it off and eat it, but barring that, your tongue’s not going to get stuck down your throat. The tongue, like every muscle in your body, is attached. Specifically, it attaches itself to the hyoid bone, mandible, styloid processes, and pharynx. One of these attachments, a handy little mucus membrane known as your frenulum linguae, keeps your tongue from folding backward too far, thus, unable to be swallowed. Yes, even during a seizure. Further, if the person is lying on their back and happens to be one of the exceptionally few individuals where the combination of tongue length and location where the frenulum linguae attaches makes it possible for the tongue to fall back into the airway somewhat, the problem doesn’t require any special tools to fix. Just roll the person onto their side and the tongue will flop over. Gravity works! Even in these cases, the person’s not going to be able to somehow swallow their tongue, getting it stuck in their throat as is often portrayed. The second problem of the victim biting their tongue is real. Should the person get their tongue or cheeks between their chompers as they clamp down like a crocodile on zebra flesh, it will most definitely cause some damage- damage that’s acceptable considering the risks of trying to prevent it. Let’s talk about those risks. As stated before, there are many different types of seizures, caused by abnormal electrical activity in the brain. Focal seizures are localized to one specific area of the brain. Depending on what area of the brain is affected, the victim can have a wide range of symptoms. Petite mal seizures usually last only several seconds and can also have a wide range of symptoms. Sometimes during a seizure, there is no abnormal muscle activity at all. The victim will simply “stare” off as if in some sort of trance. The type that usually gets portrayed in the movies is known as a generalized tonic-clonic seizure. Tonic-clonic seizures usually involve abnormal electrical activity throughout the brain resulting in extreme muscle rigidity and violent contractions. The person may also become incontinent, losing control of their urine and bowel function. As you might imagine, all of this excessive movement is quite taxing on the body. Like a “Cross-fit” workout from the pages of a Navy SEAL handbook, these seizures can sometimes have the victim taking extremely deep breaths, and often leave them extremely tired afterward. The risks of putting any bite block in the mouth of a person having a tonic-clonic seizure far outweigh the benefit of preventing a bitten tongue or cheek. The first risk is to the rescuer. Try pulling open the person’s mouth to get something between their teeth and you might end up on YouTube with the video going viral because your finger was bitten off. The second problem is to the person experiencing the seizure. Numerous seizure patients have lost teeth due to “helpful” citizens placing hard objects in their mouths during the seizure. Further, due to how hard some seizure patients can potentially breathe on occasion, those teeth may become aspirated and end up in their lungs. The object that’s placed in the mouth, might itself be bitten in half, also potentially resulting in aspiration. 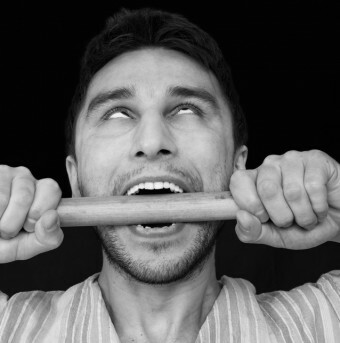 In either case, choking to death on teeth and sticks is far worse than a lacerated tongue. Treatment for any medical ailment shouldn’t result in death. I’m pretty sure that’s against doctors’ “do no harm” oath. Now that we’ve dispelled the myth of bite blocks, let’s talk about what you should do in case you come across someone seizing in this fashion. First, remove any dangerous objects that might injure them- glasses on their face, sharp objects in their pockets, guns on their hips, that sort of thing. Second, pad around the person to keep them from striking any hard objects nearby. If you can, place a pillow or folded soft jacket under their head to help protect them from hitting it against the ground. Third, place the person on their side. This could be difficult during the seizure, so you might have to wait until they’re done convulsing. By placing them on their side, this will allow any vomit or other fluids to drain out on the ground, while simultaneously keeping their airway open. Lastly, after the seizure, most people have an altered mental state and can do unpredictable things. Try and keep them from doing anything that might hurt themselves, like running into traffic! Unlike afflictions such as HIV, seizures have been around since the beginning of recorded history. The first person to correctly identify seizures as an abnormal process within the brain was Hippocrates in 400BC. Seizures were also well known in the time of Jesus. In the Bible, specifically Mark 9:17 a man asks Jesus to heal his son of the affliction which he attributed to an evil spirit. “Teacher, I brought you my son, who is possessed by a spirit that has robbed him of speech. Whenever it seizes him, it throws him to the ground. He foams at the mouth, gnashes his teeth and becomes rigid….” Considering the Epilepsy Foundation of America wasn’t formed until 1968, I suppose divine intervention was the only option a parent had to help their seizure stricken children. If you were a woman in 1487, you would have hoped you weren’t afflicted with seizures. That’s the year the book Malleus Maleficarum, a book attempting to prove witches were real, was first published. Written by a Catholic priest, Heinrich Kramer, the book also helped identify witches, with one of the tell-tale signs a woman was a witch being if she had seizures. Three years after its publication, the Catholic church condemned it, though it was still widely published. Later, even the Spanish Inquisition recommended against giving credence to anything in Malleus Maleficarum. Sir, in your article, above, you state this: “In the Bible, specifically Mark 9:17 a man asks Jesus to heal his son of the affliction which he attributed to an evil spirit.” Your wording implies that Jesus Himself did NOT “attribute the affliction to an evil spirit,” but rather to epilepsy. You are badly mistaken. Here is what we find in Mark 9:25-29: “Jesus … rebuked the impure spirit. ‘You deaf and mute spirit,’ he said, ‘I command you, come out of him and never enter him again.’ … [H]is disciples asked him privately, ‘Why couldn’t we drive it out?’ He replied, ‘This kind can come out only by prayer.’” So, if one is a Christian, believing that the Bible is the inerrant Word of God (and that Jesus is God), one must believe that this was a case of exorcism, not of the healing of epilepsy. DEAR SCOTT. YOUR ARTICLES HAVE ALWAYS BEEN SO PERFECT THAT I M REALLY GLAD THAT I CAN AT-LEAST LAMBAST THIS ONE. SIR, THIS TIME I CANT AGREE WITH YOUR LOGICS. COS’, TONGUE LOLLING DOWN AND SUFFOCATING HAS BEEN KNOWN TO HAPPEN. SECONDLY, U YRSELF AGREE THAT TONGUE BITING IS A POSSIBILITY BUT THEN THE COUNTER OFFERED IS KINDA LAME. AND LAST BUT NOT THE LEAST, U HAVE NOT AT ALL TAKEN INTO CONSIDERATION THE BIGGEST CAUSE, ……….ONE OF THE PATIENT CLENCHING/ GNASHING HIS TEETH SO HARD THAT THEY MIGHT CHIP-OFF. (OF COURSE, THE BITE HAS TO BE SOMETHING SOFT LIKE A RAG OR RUBBER BUT DEF. NOT ANYTHING LIKE A STICK ETC). RGDS. PAREEK. PS: EAGERLY AWAITED, YOUR NEXT ARTICLE. I would have to strongly disagree with you. Swallowing of the tongue is not a literal event where the entire tongue is swallowed by the patient. The tongue falls back into the throat and patients are know to choke and suffocate. In my first year of medical training, I was taught to insert a tongue block/bite block in the mouth of an epileptic patient as the patient might bite the tongue and cause himself injury or grind his teeth so badly that there will be a lot of stress on the Temporomandibular joint. I find your article a bit misleading. @Jashvina: Sorry, but if you’re being honest and that’s the medical training you received, it was bad medical training. Both epilepsy.org and the Epilepsy Foundation address this topic and say the same thing Scott, who is also a medical professional, said. Don’t put anything in the person’s mouth and it is impossible to swallow your tongue. This article is actually correct (I am a physician in the US). Perhaps medical training in some parts of the world differs from the general medical consensus, but if someone has a seizure, you make sure their environment is safe and wait for them to stop. Once they do, lay them on their side (the “recovery position”). If it lasts for five minutes or longer (aka “status epilepticus), then you must treat emergently with medication to break the seizure. We never EVER put anything in anyone’s mouth during a seizure. Ever. End stop. Also, human bites are extremely dangerous (and can cause very serious infections with organisms including eikenella corrodens). Never put your hand near someone’s mouth who is seizing. The article is correct that this is very foolhardy, dangerous, and will improve no one’s outcome. thank you for pointing thag out. i have seizures and all the comments were saying it was incorrect. it was frustrating me. “out way”????? does this site have an editor?!?!? I believe you meant ‘outweigh’. on a site dedicated to dispelling myths and educating the masses, oversights like this one make me CRAZY. oversight. not over site. @J Wendt: Fixed! Thanks for catching that. And, yes, I am (in the loosest sense of the word, or maybe I should say “losest” just to drive the point home) the editor here. My expertise and background is in research and science and Scott’s is in the medical field. So while we know well such things like “out way” is incorrect (for two reasons), catching the mistake after researching for many hours- and in my case triple checking all the facts and reading over things multiple times- isn’t exactly a strong suit, particularly not when editing several articles per day, among the many other things that go along with running this site. But as I tell all my writers, “accuracy is king on TIFO”. If I have to choose between writers who are great technical writers and at catching typos vs. writers who are great at research, I’ll choose the latter every time, as that’s more what this site is about. It was started largely owing to the fact that most “interesting fact” websites out there contained more myths or exaggerations than facts. I try really, really… really hard to make sure nothing gets published here that is inaccurate. Granted, in a perfect world, one would be great at both. But I’ve found even the best of writers, when they work on something long enough, tend to have difficulty spotting typos. Oscar Wilde himself once said to his editor “I’ll leave you to tidy up all the woulds and shoulds, wills and shalls, thats and whiches.” And reading, for instance, The Picture of Dorian Gray was like setting my eyes on language-silk, though I didn’t personally care for the story much- but, whew, what an amazing writer. I’d love to be able to hire a professional editor for this, but I’ve not yet done so owing to the combination of the fact that it’s really difficult to find an editor who’s also great at research to triple check facts, and the ones who are good at it are extremely expensive. So, at least for now, it’s not in the cards, unfortunately. When I was in nursing school (graduated in 1980), I was taught to put a block in a pt’s mouth. There was one above the bed of every pt known to have epilepsy. The decision to scotch this advice came a good deal later, after lots of back-and-forth by the medical profession. So it’s not quite right to call it a myth — just wrong! I was taught that in elementary school in the 1960s. Also that it was possible to swallow your tongue and choke to death. Of course, I was also taught that the Pilgrims discovered America, and that John Glenn was the first man in space. 1960s California schools weren’t big on accuracy. This article is well written and the recommendations are exactly in line with current medical regimens. Although it is possible to bite part of ones tongue, hurt the TMJ and teeth, or even choke (not necessarily on ones tongue) during a seizure, the risk of all these things increases when something is placed in ones mouth and decreases when one is layed on their side. If medical professionals are placing bite blocks, they too are practicing outdated practices and need to catch up on their CME. Thank you for increasing public awareness. thank you. all these comments that are saying that the atricale is wrong are incorrect. im 15 and have epilepsy. do NOT put something is someones mouth while they are having a seizure.